7.10pm The student protests: Can violence ever be justified when protesting, and how much should we blame the Police for what happened today? 8pm A third of London libraries face closure: what impact would this have on London? If you miss the programme and want to download it as a podcast (minus the ads!) click HERE. 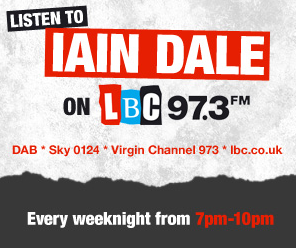 There is a £2 monthly charge but you have access to the entire LBC archive and schedule. Call for the resignation of the Commissioner of the Metropolitan Police. He failed his primary duty today. He is in charge. He must go. As a former Metropolitan Police Officer I am ashamed and disgusted. Call for the resignation of Aaron Porter (NUS Pres) as he lost control of his demonstration. Agree the police could have foreseen the violence - some rioters brought flares and ski masks with them - but the police have a tricky line after G20 Protests. Closing one third of libraries. At the same time, the HMRC have recently agreed to let Vodafone off £6 billion in tax they should have paid. Perhaps these two facts are related in some way that we poor ordinary people who don't understand economics are simply unable to grasp? Aaron Porter seems hardly to be in charge of his own hairstyle. A bit much to ask him to be in charge of 50,00 demonstrators. He's weak and lily livered.